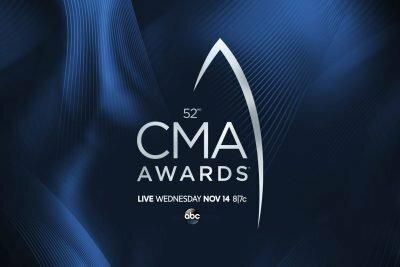 DIERKS BENTLEY with BROTHERS OSBORNE, FLORIDA GEORGIA LINE with BEBE REXHA, KACEY MUSGRAVES, PISTOL ANNIES, and THOMAS RHETT have all been added as performers for “THE 52ND ANNUAL CMA AWARDS” on WEDNESDAY, NOVEMBER 14th. The show, hosted by BRAD PAISLEY and CARRIE UNDERWOOD for the 11th consecutive year, is set to broadcast live on ABC-TV beginning at 7p (CT) from NASHVILLE’s BRIDGESTONE ARENA. These artists join previously-announced performances by KELSEA BALLERINI, LUKE BRYAN, KENNY CHESNEY, DAN + SHAY, OLD DOMINION, CARRIE UNDERWOOD, and KEITH URBAN. Additional performers and presenters will be unveiled in the coming weeks. Country Music News Blog participates in advertising programs that help fund the operation of this site. For more information please visit our privacy statement. This entry was posted in CMA Awards, Dierks Bentley, Press Releases by Shauna "WhiskeyChick" Castorena. Bookmark the permalink.